Here are a few ways to use trash in useful ways. I save all of my toilet paper rolls and paper towel rolls. I mainly used them for fire starters but there are many useful ideas for reusing these paper rolls. Here are two of my favorite. 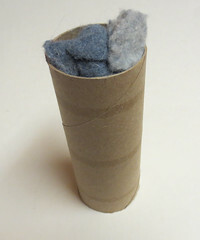 Save the paper rolls and fill it with dryer lint. Use it as a fire starter in your woodstove or campfire. These stuffed paper rolls make amazing fire starters.